Princess Yachts has unveiled the new R-35 prototype. The R-35 is a luxury day boat that packs some serious punch at 50 knots. SI Yachts takes a look at the new marketing approach from the Princess factory. Princess Yachts has released a brand-new video showing the new Princess R-35 in stunning detail and with significant speed. 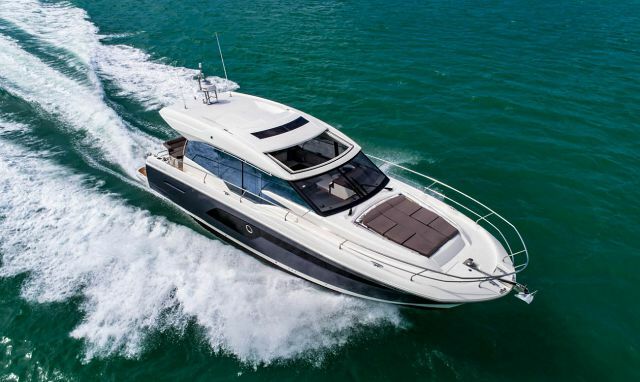 In true Princess fashion, information on the secret, brand-new Princess R-35 prototype is trickling out to the boating world keeping everyone on the edge of their seats. 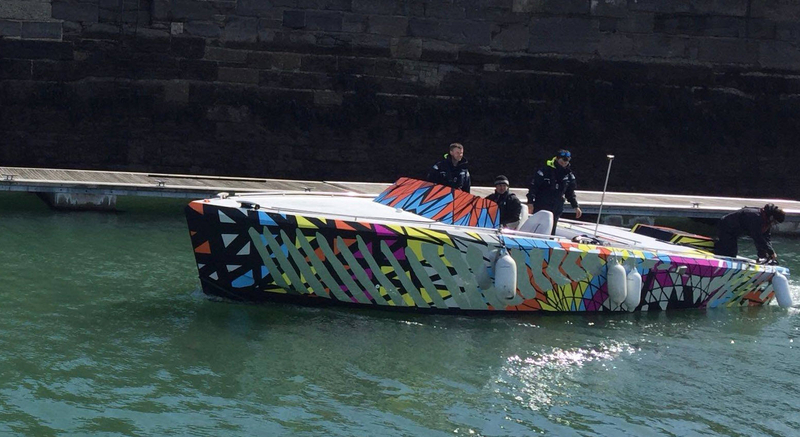 Seen above in what Princess is calling “Dazzle Camouflage”, it is meant to disguise the yacht while testing on the water. A countdown on PrincessYachts.com puts the unveiling of the new R-Class line on September 10th which by photos seems to look more like a stylish, luxury day boat, possibly a perfect tender for the Princess M-Class series or larger motor yachts. What’s most exciting about this new series is that it boasts V8 engines and a carbon fiber frame which allows the R-35 to reach top speeds of 50 knots. While information about this top-secret project has been closely guarded, an article by Motorboat & Yachting confirmed that the R-35 is indeed 35-feet in length and will be the fastest Princess Yacht ever. 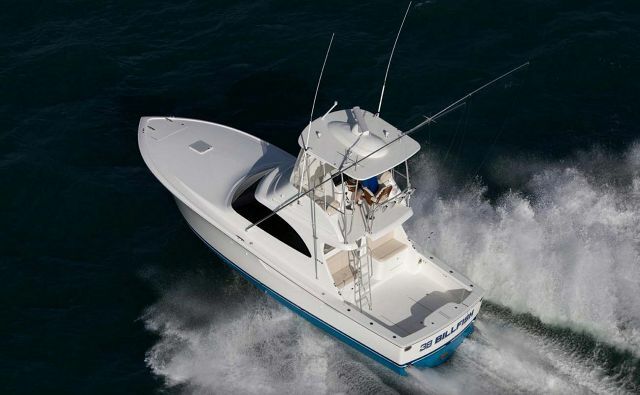 The 50-knot speed will come from twin Volvo Penta 6.2L 430hp V8 engines running duoprop sterndrives. The factory in Plymouth, England partnered with BAR Technologies and Pininfarina to bring cutting edge technology and naval architecture to the yacht market. BAR Technologies produces hard chrome manufacturing systems which has also worked with Land Rover America’s Cup. The new R-35 will use the very unique Princess AFS or Active Foil System which drastically improves the boat’s efficiency. Antony Sheriff, executive chairman of Princess Yachts, said: “We are thrilled to be working on a brand-new fully carbon fiber yacht that will deliver an exhilarating experience through bold innovation and cutting-edge technology. While the striking exterior is stunning, the luxury day boat concept is also new territory for Princess who has pushed their team in the past for fresh ideas. The innovative design does conceal inside accommodations including a spacious cabin, seating area, a galley with all amenities, and the option for a double berth that is complimented by an ensuite head. 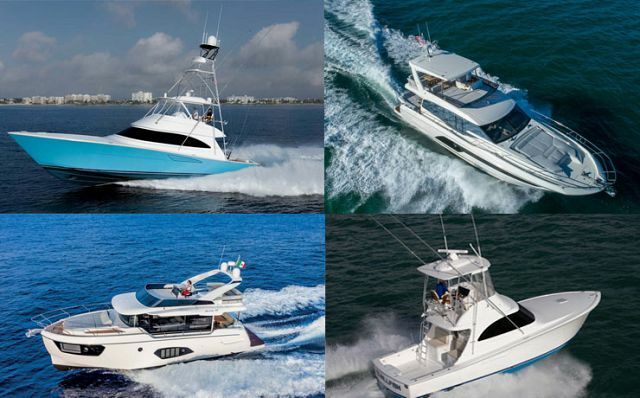 Stay tuned to Staten Island Yacht Sales for the latest updates on the new Princess Yachts R-35. What’s the story behind the ‘Dazzle Camouflage’? 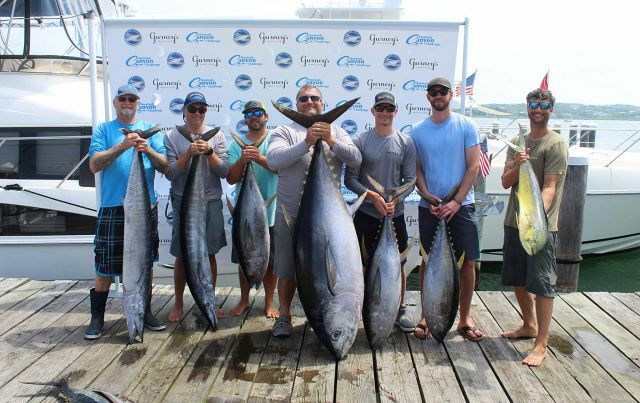 The Princess Yachts team was trying hard to come up with a way to test the new R-35 without letting the public see what the boat will truly look like. So in an effort to conceal its design, the team turned to Plymouth, England’s naval heritage for a solution. In the early 20th century, an art student named Norman Wilkinson developed a marine camouflage while serving as an officer in the British Royal Navy. The Dazzle Camouflage idea is designed to confuse rather than conceal. The geometric designs were actually credited with saving many lives during World War 2 by making it difficult for the enemy to gauge the speed, size, and direction of British ships. The Princess team sought help from third year art students at the Plymouth College of Art to design what the wrap would look like. The students took inspiration from Norman Wilkinson’s original concept as well as used ideas from modern day illusionists. Princess now invites you to experience the R/Evolution.